I realize that this third and final downloadable content package for Skyrim came out about a year-and-a-half ago, but I'm just getting around to it. When I played Oblivion, I bought the Game of the Year Edition, so all of the DLC came with the game. I racked up over 180 hours on the thing and completed every quest in the game, DLC included. However, with Skyrim I bought it on Day One and, to be honest, when I finished the main story line I was ready to put it down for a while. I never thought it would take me this long to get back to it, though. That said, here we are, and here's my critique of the highest rated of the Skyrim DLC offerings. what's the buzz? Tell me what's-a-happenin'! After you've downloaded the Dragonborn DLC package and you start to play, you are quickly attacked by a group of cultists on behalf of one Miraak, who turns out to be the first Dragonborn. This type of aggression will not stand, man, so you set out to find Miraak and put him down. In order to track down your failed assassin, you hop on a ship headed for Solstheim, an island in Morrowind. Long time Elder Scrolls players will remember Morrowind from the third game in the series, and Solstheim from Bloodmoon, an expansion pack for the same. You do some sleuthing in an attempt to locate Miraak, but the islanders only seem to have a vague recollection of who or what he is. It's almost like they've all had the same mostly forgotten dream about the man, but they can't seem to remember any details about the first Dragonborn. Eventually, you find your way to the Temple of Miraak where you team up with Frea, a woman from Skaal whose people are being tormented by the evil, power-hungry villain. It turns out he is using the people of Skaal in an attempt to return to Tamriel and take over. 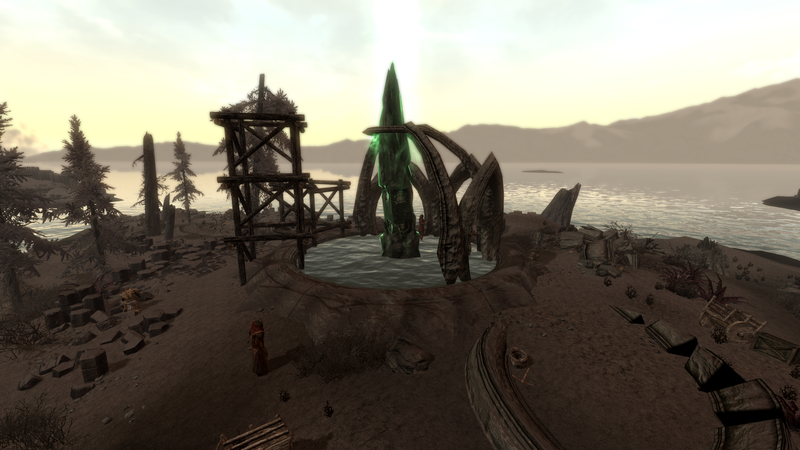 He has placed them, along with many other citizens of Solstheim, into some sort of a trance where they are using formerly helpful magic stones to bring about his triumphant return and the downfall of Skyrim. 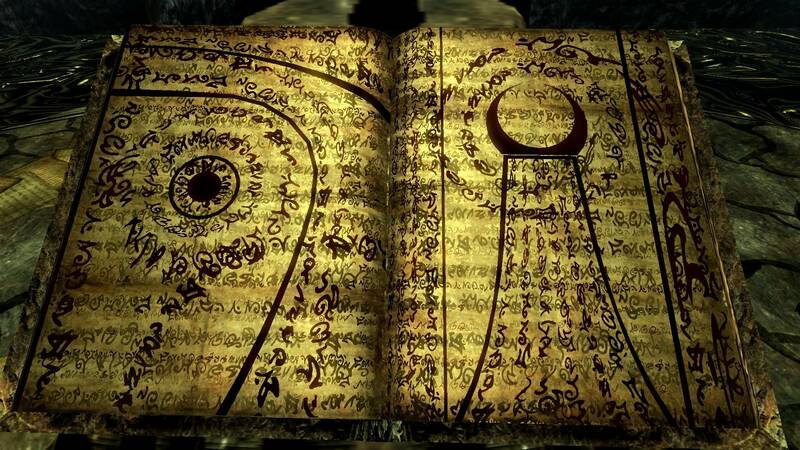 You learn all of this when you find a "Black Book" deep in the recesses of Miraak's Temple and read it. Upon opening the text, you and Frea are transported to the Apocrypha, which is another dimension temporarily inhabited by Miraak as he prepares for his hostile takeover of your homeland. For reasons that don't really make sense, considering that you are the only other Dragonborn in Tamriel, Miraak doesn't find you to be much of a threat and he sends you and Frea back to Solstheim. I understand that it's necessary in order to keep the events of the DLC moving along, but this is a HUGE plot hole in the story. I mean, come on, he's already sent cultist assassins to kill you once. You spend the rest of the story gaining enough power to eventually take the man down. He's got you right there, in his dimension, surrounded by his cultists, underpowered and untrained, and he lets you go?! Now, I realize I've been talking about magic rocks and other dimensions, so obviously a little suspension of your disbelief is necessary to enjoy the game, but I just couldn't ever let go of this plot hole in my head. I won't go into too much detail about the rest of the story for those who haven't played it yet but intend to, but you literally spend the rest of the game trying to gain enough power to defeat Miraak. Due to that fact, you have to assume that you don't possess the necessary powers at this point in the game. It's the Skyrim equivalent of a Bond villain monologuing just long enough for James to escape from the overly-elaborate trap that has been set for him and defeat whatever SPECTRE baddy has come for him this time. All Miraak had to do was kill you, right then and there, and it's over. He wins. Instead, he sends you back to Morrowind to learn everything you need to know to eventually defeat him. Ugh. Sorry to harp on it so long but it really bugged me. No, I actually really enjoyed it. 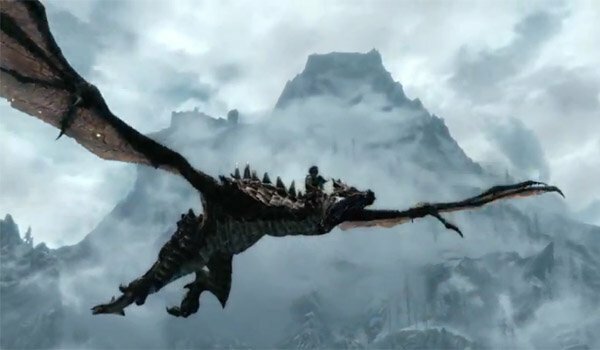 For one thing, you FINALLY get to ride dragons! It's something that I'd been dying to do since I killed my first dragon nearly three years ago. Not only that, but it was nice to have something new to do in the Elder Scrolls universe while waiting for the Elder Scrolls Online to come out (Thanks for pushing it back six months, Bethesda! Boo!!!) Unlike Oblivion, which I beat in its entirety in one huge go around, this served to break up Skyrim into at least two chunks. I fully intend to purchase at least one more piece of DLC because I had so much fun returning to Tamriel in Dragonborn. Aside from that one huge plot hole, it was a truly enjoyable experience. I can't wait to get Dawnguard or Hearthfire and do some more exploring of my favorite RPG world while I wait for the Elder Scrolls Online to come out. While I didn't enjoy this DLC as much as the Shivering Isles from Oblivion, it definitely holds its own against the Knights of the Nine. With the aforementioned postponement of the Elder Scrolls Online, my hunger for more of Tamriel has only grown. It was the perfect time for me to dig back into Skyrim and, having put off buying any of the DLC until now, I was able to do so without starting over and re-playing any parts of the game that I've already beaten. While it isn't revolutionary, Dragonborn was an enjoyable trip back into the lands of the Elder Scrolls and I can easily recommend it for anyone who is itching to get back into the zone in preparation for the next Bethesda release. Bonuses: +1 for just giving me more Skyrim. I truly love these games and, as long as they aren't total garbage, I will continue to enjoy most anything Bethesda puts out in the Elder Scrolls universe. Penalties: -1 for that HUGE plot hole I just couldn't get past. I mean, come on! He's right there! JUST KILL HIM!!! Ugh. Okay, I'll let it go now.